We deal with "midnight" a lot as an embargo time, and you know, it's always confusing. 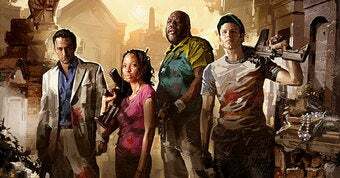 Valve knows, and has laid out specifically when Left 4 Dead 2 (PC) will unlock in all the major time zones of the world. As you can see, the U.S. west coast gets a three-hour head start (technically) against the console street date, London and Moscow will be getting up or on the train to work, and Tokyo's hosed. Hey, I don't make the rules. Now that we've cleared that up, you might want to pre-load that six-gigabyte sucker, so that you're not waiting an additional zillion hours to download the game on unlock day.